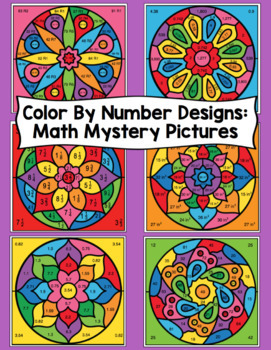 5th Grade Math Color By Number Designs: Math Mystery Pictures - Make math class something to look forward to with this set of 5th grade color by number, math mystery pictures. These math mystery pictures are engaging and can be completed independently. 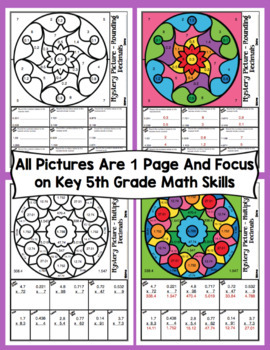 They are self-checking, cover key fifth grade math skills, and the pictures and problems are all on 1 page. 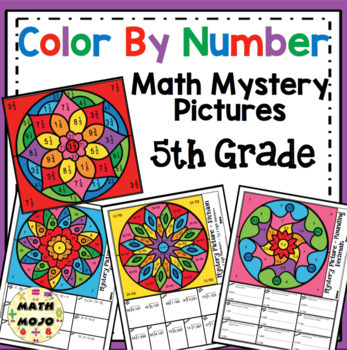 They are great activities for fun 5th grade math skill review, homework, fast finishers, centers, or extra practice. 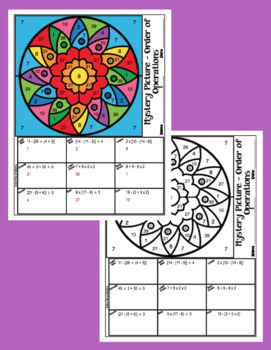 These no-prep 5th grade color by number mandala designs are the perfect way to engage kids in practicing math skill!